Our content plans take into account onsite and offsite Topical analysis. We utilize tools that show us just how Google and other search engines interpret your brand’s purpose, and work with you to develop a strategy that results in market-leading content production. 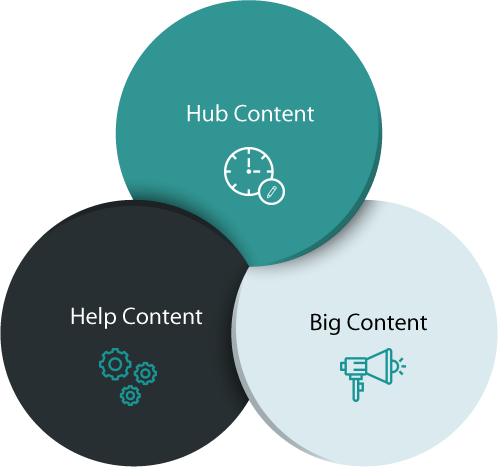 Big Fork Content structures content creation into 3 categories: Hub Content, Help Content and Big Content. From there, we work on each category’s specific requirements and challenges. 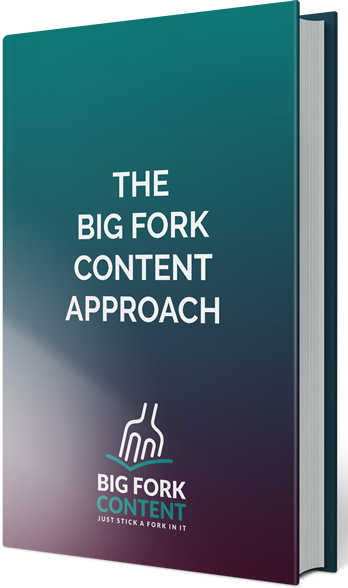 These categories have been slightly adapted from what Google recommends, and they provide the foundation for Big Forks Content planning perspective. While each type of content is important, we don’t recommend tackling each area at once, as it can be a serious investment in your time and money – we know because we have managed all three in symphony. At Big Fork, we work with our clients to prioritize their own unique Content Plan, optimizing one category at a time based on the needs of the company.